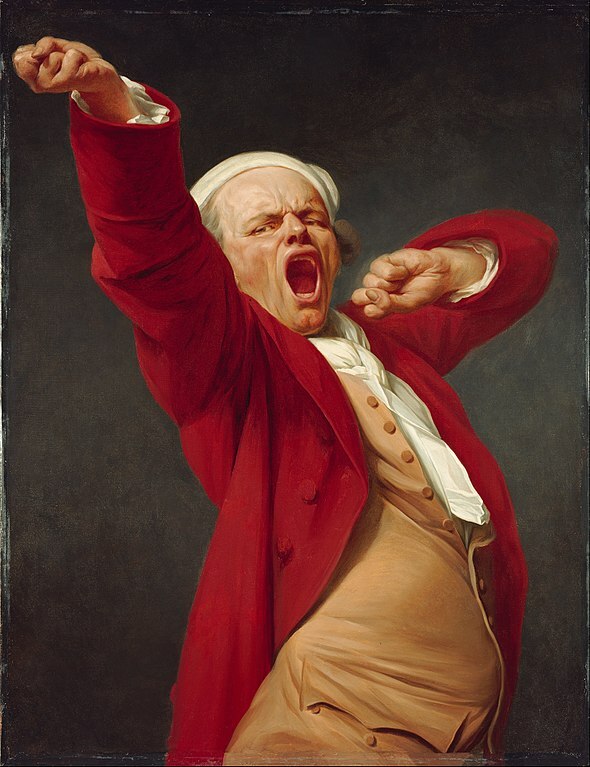 Yawning(!). It seems this artist has a sense of humor! Interesting fact: At the outbreak of the French Revolution, Ducreux traveled to London. There he drew the last portrait ever made of Louis XVI before the king's execution. This week's curator is Salazar from 14 Shades of Grey, "Since it's April Fools' Day, I decided to pick something a bit humorous; plus, there are plenty of colors here to interpret in an outfit (red, tan, white, and charcoal gray). You can even mimic the pose too!" 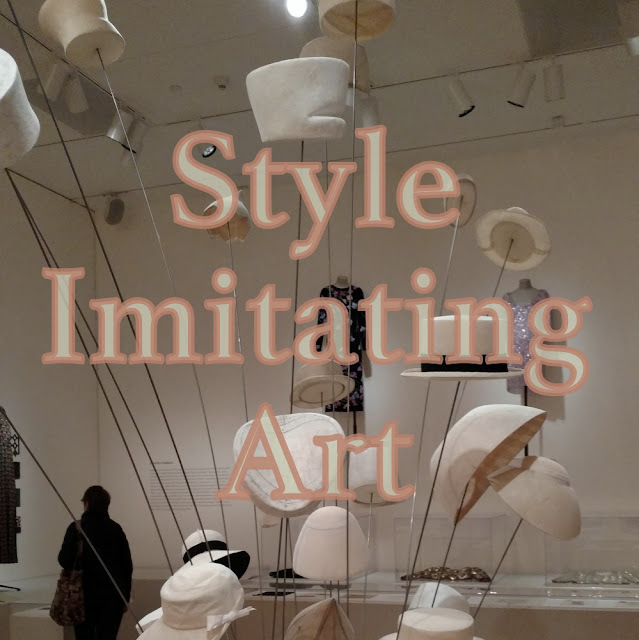 Send a picture of your Style Imitating Art inspired outfit to 14shadesofgreyblog@gmail.com so Salazar receives it by Tuesday, April 8. She will share the submissions on her blog on Wednesday, April 9.